Create A Halloween Costume From Your Wardrobe! 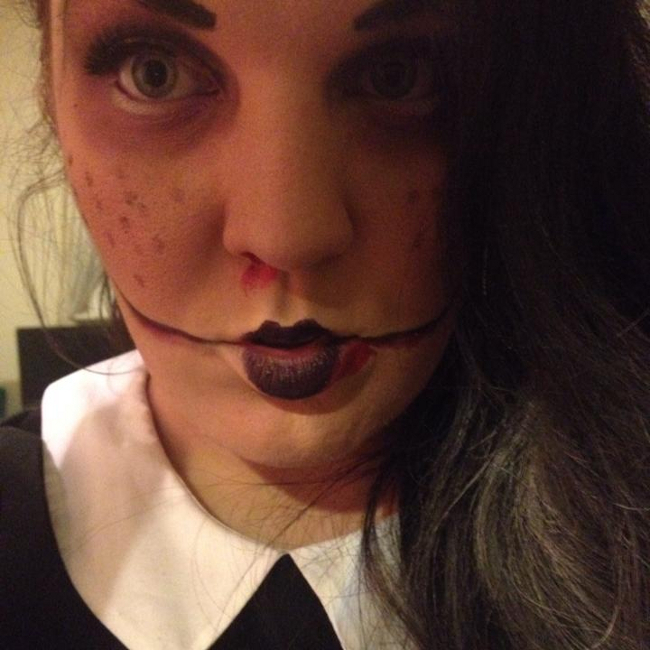 Halloween is one of my FAVOURITE times of year. I am pretty much the kind of person who will happily get dressed up and look stupid in a silly costume for any occasion so Halloween is like my dream come true. I never really spend loads of money on costumes though because I try to use things I've already got. In fact last year was my cheapest costume ever! 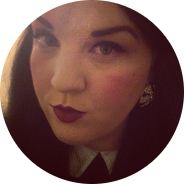 I put on my favourite 'Wednesday Addams' dress (ie a black dress with a white peter pan collar, and yes favourite because I embarrassingly have more than one), and used makeup to create a creepy 'possessed doll' vibe. I sprayed some dry shampoo in a concentrated area in my hair to make it look powdery and hey presto! This year I'll probably continue my theme of thrifty costumes by trying to use what I've already got and adding one or two cheap accessories to complete the look. To give you some inspiration I've come up with three easy costume ideas that you can recreate using your own wardrobe! Costume number one is a fairly simple but super stylish witch outfit. Everyone who knows me knows I love a good witchy vibe all year round, but on Halloween you can really go all out with it. A cute, structured black dress and tights, black cat accessories, a wand if you're feeling a more Harry Potter vibe, and of course, a pointed black hat. Black lipstick is what finishes this off and gives this costume a more dramatic, theatrical feel! Costume two is probably what I'll be going with this year! I love to use makeup to create a fun look at Halloween (one of my favourite costumes was Marie Antoinette, where I powdered my face, blushed my cheeks, painted a doll-pout, applied a little heart-shaped beauty mark and finished off with a huge gory slash to my throat)! This one is easy too because you can wear whatever you like. I've gone for a grey wool, collared dress but added some fun skeleton tights. You can find these cheaply and easy enough on eBay. You can find fun bone accessories in lots of costume shops too, but obviously the star of the show on this one is the skeleton makeup. I'm going to be using this YouTube tutorial to help me with mine. And finally if you're feeling something a little cuter, costume three is a flower fairy! For this one you'll need a floral top and a flirty, flowy skirt. Accessories that complete the look are a floral headband and some fairy wings. Cute, fresh makeup will help you look like a magical queen of the fairies! And there you have it- Halloween doesn't have to be difficult or expensive! With a little creative thinking and your own wardrobe at hand you can create an easy and effective look without breaking the bank.